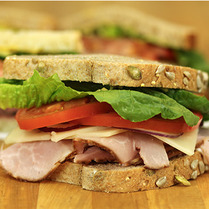 GREAT HARVEST CLASSIC AND SIGNATURE SANDWICHES MADE FRESH TO ORDER! 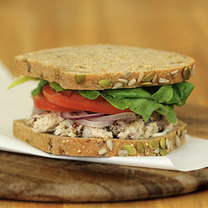 Each sandwich is hand made fresh from scratch! Come in and let us make one for you! **Please allow a minimum of 15 minutes to prepare your order. Large orders/group orders of 6 or more, and busy lunch hours, may increase wait time. Please allow up to ONE HOUR to prepare your large order of 6 or more if you call during our peak lunch hours of 11:00 am - 1:00pm. A confirmation email will be sent upon receipt of your order. Please allow up to ONE HOUR from the time we confirm your order to prepare your large or group order of 6 or more if you email during our peak lunch hours of 11:00 am to 1:00 pm. Tender pieces of chicken fused with sweet and spicy flavors of pecans in a seasoned mayonnaise dressing with mayonnaise, lettuce, tomato, onions, salt and pepper. Smoked turkey breast, avocado pulp, chipotle honey lime sauce, pepper jack cheese, sweet pickled red onions, shaved cabbage, and tomatoes. 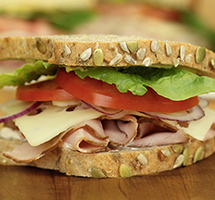 Tender slices of honey smoked ham, Swiss cheese, Dijon mustard, mayonnaise, lettuce, tomato, onions and a dash of salt and pepper. 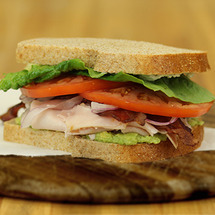 Turkey breast, avocado, crispy pecan-smoked bacon with a light garlic & herb spread, lettuce, tomato, onion and salt and pepper. 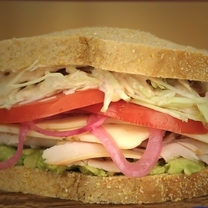 Smoked turkey breast, Swiss cheese, Dijon mustard, mayonnaise, lettuce, tomato, onion and salt and pepper. 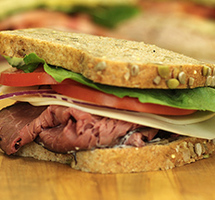 Roast beef, Provolone cheese, Dijon mustard, mayonnaise, lettuce, tomato, onion and salt and pepper. 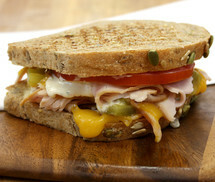 Turkey, roasted green chiles, cheddar cheese, chile mayo, and tomatoes heated and grilled to perfection. 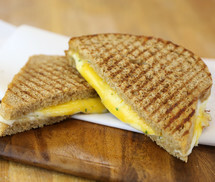 Cheddar and Provolone cheese with our garlic herb spread. Add tomato at no charge. Add bacon, ham, or turkey for 1.25.